A dust storm on the Red Planet has blanketed the solar-powered rover in darkness. A rover operating on the surface Mars for 14 years is not talking to Earth due to a severe dust storm. NASA says the rover, called Opportunity, will likely pull through, though, as soon as the skies above it clear. The agency spoke about Opportunity’s mission in a press conference on June 13, expressing both anxiety over losing contact with the rover and the expectation that it will ultimately survive. Officials said Opportunity is in a deep sleep in order to save energy, but it should wake up once there's enough power available to do so. Still, it has been a tough few days for the rover team. "This team has a very strong bond with the rover. We have a very tight emotional connection with it, and we're concerned about it, obviously," John Callas, the project manager for Opportunity, said during the press briefing. "The analogy I would use right now — you have a loved one in a coma, in the hospital. The doctors are telling you you've just got to give it time, and she'll wake up. All the vital signs are good, but it's just waiting it out. But if it's your 97-year-old grandmother, you're going to be very concerned," Callas said. "By no means we're out of the woods here," he added. "The storm is very threatening. We don't know how long it will last, or what the environment will be when it clears. So yeah, we are all concerned, and we can see it in the team members." 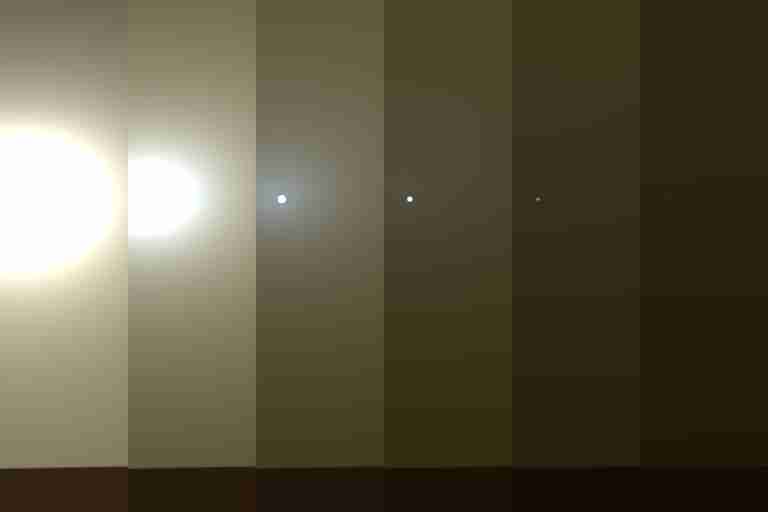 The first indications of the dust storm came on May 30, when the Mars Reconnaissance Orbiter spotted increases in atmospheric opacity, or how much incoming light the dust storm is blocking. Opportunity could see changes in the atmosphere as well from its vantage point on the surface. By June 4, the Opportunity team decided to cease science operations in order to save on power. By then, energy production had already dropped by half to 345 watt-hours. Last they heard from the rover, production fell to around 22 watt-hours. As the dust storm thickened, the Opportunity team took measures to reduce its power needs, including less frequent status updates. 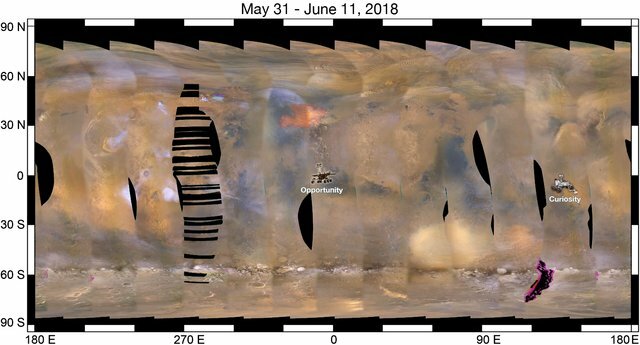 The last time they heard from the rover was on June 10, when it was recording an atmospheric opacity of 10.8 — a record high for measurements on Mars. From the rover's perspective, the sky was completely dark, Callas said. NASA hasn't heard from the rover since. They expect the rover has gone to sleep and is in a low-power mode. It will remain in that state until the skies clear and its solar panels receive enough energy to charge its batteries. Providing the rover is healthy enough, it "will autonomously wake up and communicate with us," Callas said. Based on the warming temperatures the dust storm produced, Opportunity should survive since it will be above the minimal temperature it needs to survive. "We're concerned, but we're hopeful that the storm will clear and the rover will begin to communicate with us," Callas added. "Now that they updated the press release again, I can say I sat on console this morning and it was really hard not to cry when Opportunity didn't contact us," said Keri Bean, a science planner whose Twitter profile says she is in training to operate Mars rovers. A former Mars rover driver, Scott Maxwell, listened to the press conference and had high praise for one of the engineers. "It should be said that one reason the batteries are doing so well is [Opportunity's] lead power engineer, Jennifer Herman," he said. "She, more than any other single person, is why we survived the 2007 storm, and she, more than any other single person, is why we're in such good shape for this storm." 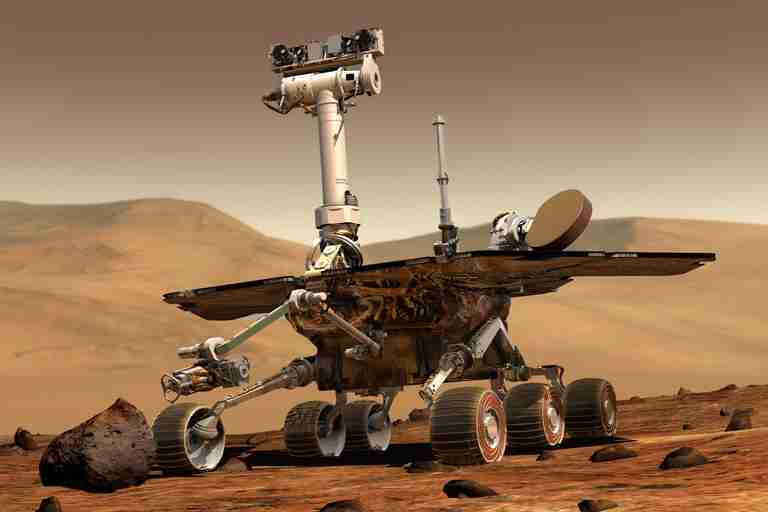 The Opportunity rover was only designed to last 90 days when it landed on Mars in January 2004, so engineers remain impressed with its stamina. The batteries are still at 85 percent of their original strength and all of the instruments are working. In its years of operations, the rover has had some small mechanical issues, as well as difficulties with its flash memory, which lets the rover store information even when it is turned off. The rover is already a veteran of one large dust storm in 2007, but it survived and continued crawling — covering more than the distance of a marathon since its landing. It has collected evidence of water on Mars and explored two large craters, called Victoria and Endeavour. It even escaped a dust trap, avoiding a fate that helped kill its twin rover, Spirit, in 2010. "We think we can ride this out for a while," Callas said. Another uncertainty is if Opportunity can maintain its mission clock, which lets the rover know what time it is and helps establish a regular communication schedule with a spacecraft that sends information back to Earth. If power levels fall too low to keep the clock, Opportunity will lose track of time and instead make periodic attempts to communicate while the sun is up. NASA's other rover on the surface of Mars, Curiosity, is a plutonium-powered rover that shouldn't be affected by the dust storm. The dust is not nearly as thick in its region of Mars near Gale Crater. The agency expects the storm will clear before the InSight lander arrives in November, but even if the skies are dusty, the lander's instruments will allow it to touch down. Dust storms are a fairly frequent event on Mars, but scientists struggle to forecast their severity. Sometimes these storms are more localized, and sometimes they blanket the entire planet — as the Mariner 9 mission witnessed when it arrived in 1971. Back then, only the peaks of some volcanoes were visible above the dust. NASA said it will need better forecasts of dust storms before sending human crews to Mars, which the agency may do after returning to the moon in the 2020s.